The automotive industry in Malaysia is a growing market, with customers worldwide (except for the Americas and Continental Europe). 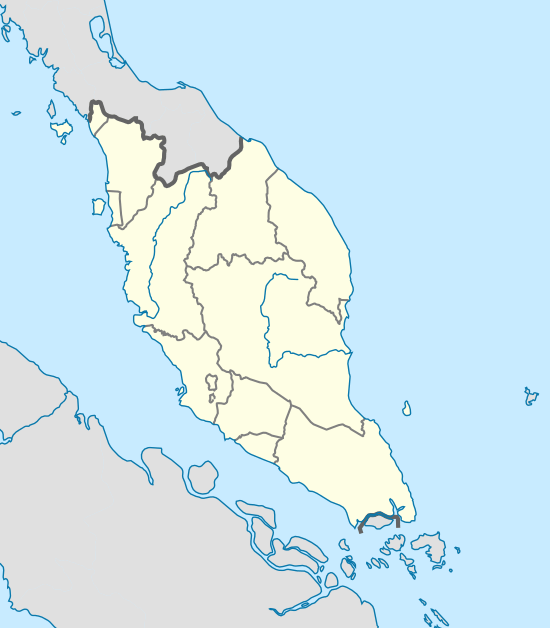 Malaysia is the third largest South-East Asian automaker, outputting more than half a million vehicles per year. Some of the Malaysian companies produce some models in collaboration with Japanese, Chinese, South Korean or European manufacturers, while also developing fully indigenous Malaysian made cars. "The rapid growth of the economy and the high purchasing power of its population have made Malaysia the largest passenger car market in ASEAN. At the same time, the establishment of national car projects, PROTON and PERODUA, has transformed Malaysia from a mere motor car assembler into a car manufacturer. The industry has boosted the development of engineering, auxiliary and supporting industries and contributed to skills development and the upgrading of technological and engineering capabilities. These factors have further enhanced the attractiveness of Malaysia as a base for global automotive manufacturers." The industry produced a total 614,664 vehicles including 563,883 PVs and 50,781 commercial vehicles (CVs) in 2015, as against 596,418 in 2014 (545,122 PVs and 51,296 CVs), registering a marginal growth of 3.05 per cent, year-on-year. The sales of automobiles year-on-year didn't grow, but on a 5-year range CAGR (2010-2015), the automobile industry had a yearly growth of 2%. 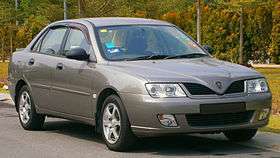 Proton (Perusahaan Otomobil Nasional Berhad), being the pioneer of Malaysian car manufacturer. Perodua (Perusahaan Otomobil Kedua Berhad), of which engines are based on Daihatsu models. Bufori & TD2000, "Antique Cars" manufacturers based in Malaysia (although originally from Australia). Naza (Naza Group of Companies - assembles Kia Motors and Peugeot vehicles). An interactive map of automobile assembly plants in West Malaysia. ↑ ". : MIDA | Malaysian Investment Development Authority :.". www.mida.gov.my. Retrieved 2016-02-07. ↑ "Market Review 2015" (PDF). Market_Review_2015. Malaysian Automotive Association. Jan 21, 2016. Retrieved Feb 7, 2016. ↑ "MAA - Member Listing - Manufacturing & Assembly Plant". Malaysian Automotive Association (MAA). 15 April 2016. Archived from the original on 15 April 2016. Retrieved 15 April 2016.